Spain will play their first match in the Euro 2020 qualifying stage against Norway on March 23rd. But, where will they play the matches? Will they play at the Real Madrid venue, or the Atletico Madrid venue? Or maybe at Nou Camp in Barcelona? The answer is no to those mentioned stadiums. Spain is having one of the best national teams in the world when it comes to football. But, in the recent years they haven’t really succeeded in the big tournaments, and that is why it is important to show their fans and people of all nations that they are able to play samba-football again. But, it will not be an easy ride for them, because in their group they will play against Sweden, Romania, Norway, Faroe Islands and Malta. All these nations are capable of giving the Spanish players a hard match, and maybe especially Sweden, Romania and Norway. Where will the “home-matches” be played? When Spain will play at home in front of the local audience, the matches will be played at Mestalla Stadium in Valencia. This is the home field of the team Valencia, and it is quite a distance from Madrid. It is possible to do a day-trip to Valencia to watch a match, but I would probably spend the night in Valencia afterward, and then return back to Madrid on the next day. Mestalla Stadium has capacity for more than 50,000 spectators, and hopefully, it will be packed with people cheering for the Spanish team, starting with their match against Norway on March 23rd. But, the first match is also crucial if they want to win back the favor of the home crowd. If they get a draw, or even lose against Norway, then it will be considered a catastrophe in Spain. Now, Spain are clear favorites to win before the match, but with Lars Lagerback as the Norwegian coach, it is hard to consider the nation an easy opponent. Lars Lagerback managed to make Iceland an almost unbeatable nation in football while he was coach there, and after Norway won their group in the Nations League in 2018, they might look into a brighter future with the Swede as their coach. But, are they good enough to cause trouble for Spain? Sweden is another tough opponent, and we all saw what the Swedes were capable of during the World Cup in 2018. Andreas Granqvist, the defender looking like a true viking, might be one of the biggest profiles on the team, together with the Manchester United player Victor Lindelof. But, one should not forget about Emil Forsberg, Marcus Berg, John Guidetti, and several other quality players on the Swedish team. A full schedule for the Euro 2020 qualifying matches can be found here. How to get to Valencia from Madrid? The easiest way to travel from Madrid to Valencia is by train. At www.renfe.es you will find a chance to search for trains and to purchase your ticket right away. The trains in Spain are looking really nice, and they are quite classy! And, to make things better, to travel from Madrid to Valencia with a train will not take you more than 2 hours. In fact, the actual travel time with most trains are around 1 hour and 50 minutes, with some trains going even faster and finishing the ride in 1 hour and 40 minutes. The price for such a train ticket will depend very much on how early you decide to buy the ticket, but two days before the match between Spain and Norway, the cheapest train tickets will cost around 35 Euro for one way. That isn’t bad, is it? This ride will take you to the station Valencia Joaquin Sorolla, and from there the distance to the actual stadium is 3km. If you decide to make this distance on foot, you should prepare for a walk lasting 30-40 minutes. There are also local buses in Valencia that will take you directly from the train station towards the stadium, so there are lots of ways to get easily from the train station to the stadium if that is of your interest. 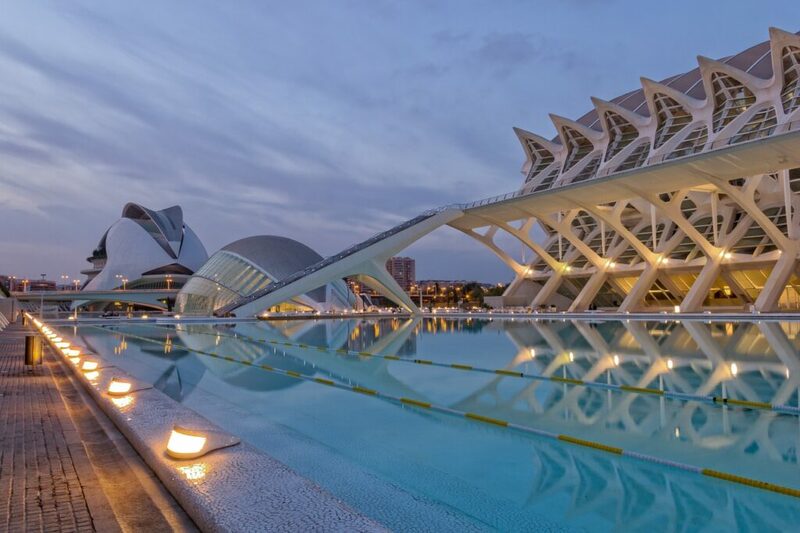 But, if you first get to Valencia, why not arrive early and spend the day in the city discovering its attractions, sights and whatever the city has to offer?